Roma are considering making an ambitious move for Liverpool linked winger Christian Pulisic. Borussia Dortmund snapped up the United States winger in February 2015 and he has developed into one of the brightest youngsters in world football. Clubs such as Liverpool have been keeping tabs on the player and there are suggestions Paris Saint-Germain are also interested in the American. 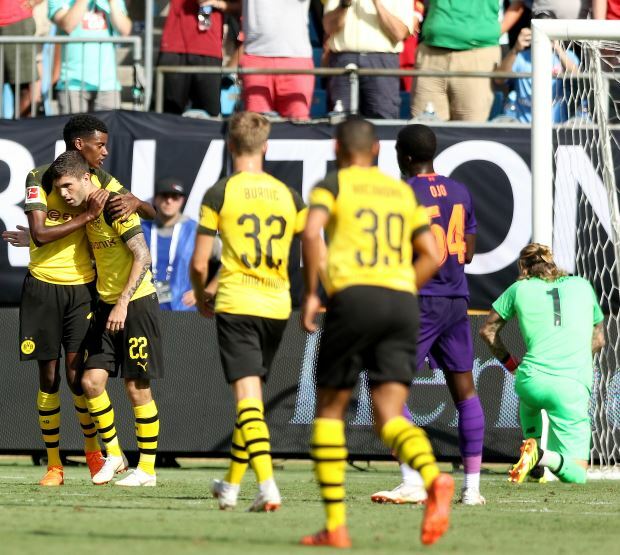 And now there are claims that Pulisic has been attracting interest from Italy this summer, as the cash received from selling Alisson burns a hole in Roma's pocket. According to Italian daily Gazzetta dello Sport, Roma are keeping tabs on the player with a view to possibly making a move for him in the ongoing transfer window. They missed out on signing Malcom from Bordeaux, but are still interested in bringing in a wide player to add to their squad ahead of the new season. Ajax’s David Neres is one of the players the club are interested in, but it has been claimed the Giallorossi are also keeping a close watch on Pulisic. More clubs could get into the transfer slug fest if it Dortmund indicate that they could consider offers to sell the 19-year-old winger.